There are two potential competitors in video player market; VLC and MPC. Both of these software offer unique media management services but when it comes to professional level real time applications then careful selection becomes essential. The article below can help you to make detailed comparison between VLC and MPC; probably you will soon be able to decide the right solution for your needs. There are very limited things to talk about user interfaces of both these software; they are quite simple. The design for MPC-HC is actually derived from its predecessor Media Player Classic and it originally follows the design track of Windows XP/95 Media player. On the other side, VLC offers quite clunky icons with deep orange color that most of the time appear irritating to eyes. The real difference lies between their features and menus where MPC-HC offers much organized service. It keeps all things at right place for both full screen and small screen modes whereas in case of VLC, users often need to organise a search for their desired content. MPC-HC retains its size even when video loops are formed but VLC immediately holds back the control to whole screen whenever playbacks start. When HEVC files were tested on both these platforms, MPC-HC provides decent results. Even the 4K content was displayed well on MPC-HC but VLC caused little loss for frames while missing the smoothness in between. MPC performed better for almost all media file tests but its performance decayed little bit with old MPEG-1 file format. However, both these players found difficulties for seeking track over WMV files but VLC somehow managed the longer jumps. When tests were performed for DVD and VCDs then both players performed better while handling all menus and elements with ease. Performance for non-protected type Blu-ray files was also significant in both cases. The sad thing about VLC is that when it finds some problem for playing any media file then it often goes into infinite loops and they can be finally broken only with task manager. But in case of MPC-HC, when some files appear un supported to this platform it simply says no to it. MPC-HC as well as VLC, both these file formats supported WAV files perfectly up to 96KHz up to 32 bits. It also extends great support to standard compressed media file formats like APE< FLAC, M4A, MP3 and Opus. You cannot play .VQF files on both these platforms. VLC also finds trouble with Windows lossless files but MPC-HC can handle them well along with Apple Lossless content. In case of CD based playbacks, both these players worked well whereas performance of VLC was much smoother for track switching needs. For most of the subtitle tests, MPC-HC performed with acceptable quality but in case of VLC you have to drag subtitle file on top of the movie so that it can play it in synchronism. MPC-HC handles subtitles as playable files and let them proceed normally. This service is simply incredible in case of VLC and that is why it is well known as VideoLAN. 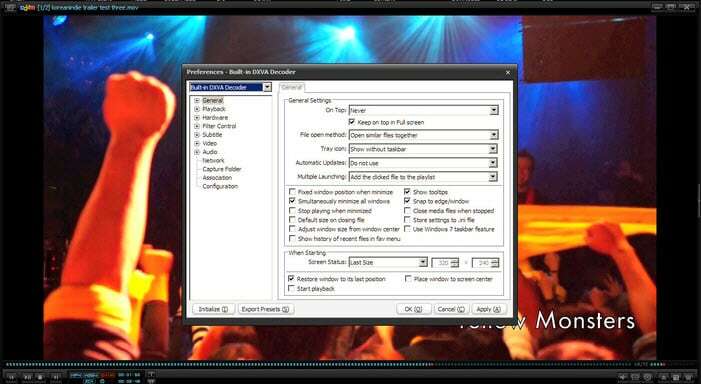 Users simply need to copy video URL from internet and get it pasted on Open Media Stream dialogue box of VLV. You will definitely have great streaming experience for almost all YouTube videos but it is advised not to try such tricks with MPC-HC because it cannot handle. None of these software platforms is actually designed to handle images and you should not even expect slide show playbacks from them. But still during tests, VLC was able to open many images except JPEG and PNG files whereas MPC-HC effectively displayed BMP images, uncompressed as well as compressed TIFF, animated and static GIF, PNG and TGA files. But MPC-HC reported sudden failure for JPEG content; however it was later displayed well. If you don’t need to access JPEG content then MPC-HC can be a suitable option for your needs as it can handle most of the extensions with ease. VLC as well as MPC-HC, both these players work with standard speed and you can jump to different points of material with ease. However, VLC is well known for its incredible smoothness offered for slow playbacks so that original pitch can be retained; whereas this thing is not so in MPC-HC. MPC-HC further offers more advanced controls like interactive magnification etc that you may find behind dialogue boxes. It is also possible to use advanced filters in case of MPC-HC, the range includes emboss, edge sharpen and gray scale options. The facility of FX and shaders is good in case of VLC also. VLC offers great controls over volume whereas MPC-HC follows boosts for dialogue delivery only. MPC-HC is observed to open up faster and its drag and drop features are much faster including 4K content support but all these things are even equally good for VLC platform too. 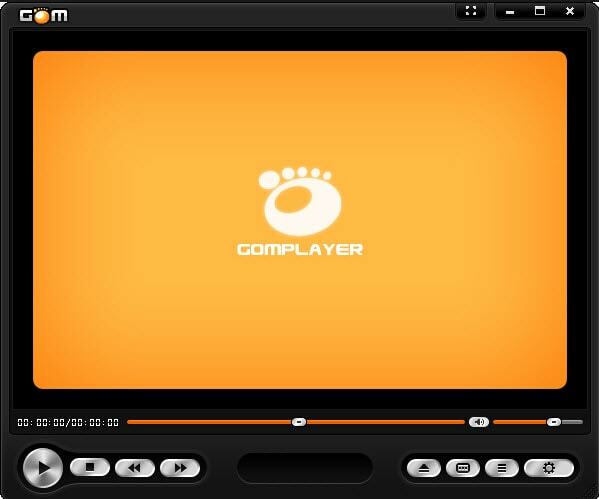 GOM player is available for free and it extends support to almost all popular audio/video file formats. GOM offers great customization with its incredible codec finder abilities. All your playback needs can be easily fulfilled with this well designed player. It can also play 360 degree videos and supports subtitles. POT player promises maximum performance delivery with its extended H/W acceleration and its advanced source list includes QuickSync, CUDA and DXVA etc. You will be able to enjoy immersive 3D experience for POT playbacks on PC and 3D TV. POT player possesses wide range of codecs that manage all popular file formats. This well designed platform can handle many media file formats with internal and external codec support. No matter whether you want to play music on PC or mobile, KM Player can work efficiently for both. You will never face any restriction for encoding, uploading or downloading with KM Player.